Recently, I spoke to the executive education program for the Instituto Tecnológico Y Estudios Superiores De Monterrey (ITESM) in Nuevo León, Mexico. It allowed me to work for two days with 50 CEOs and 250 of their managers. As a business anthropologist, this was a wonderful opportunity to share with them new ways to approach their business growth strategies. 1. Could we help them find new market space? 2. How could they manage business change, lead change initiatives and overcome the inevitable hurdles? 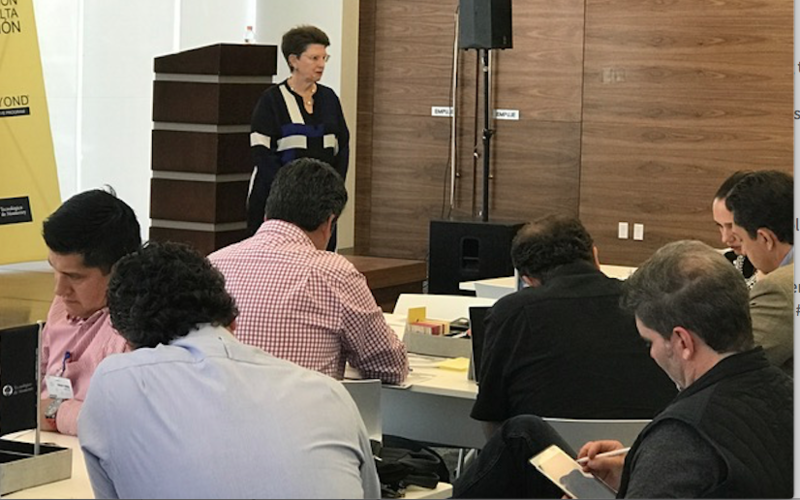 The ITESM program brings together these carefully selected CEOs nine times a year for workshops and speakers such as myself. The goal is to continually bring them new ideas, train them, develop their ability to sustain growth in fast changing times, and build their leadership and change management skills. What was so exciting was how open they were to see things with "fresh eyes.” Each one asked me, How could they find new markets? Where were nonusers or new solutions to solve unmet needs?